Police are appealing for witnesses and information following the theft of two quad bikes from a rural property in the New Deer area. The theft occurred between 10.15am and 11.15am on Wednesday, March 23, and it is suspected that a silver Ford Mondeo motor car was involved in the incident. 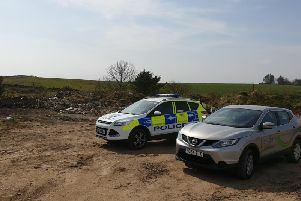 It is understood the vehicle travelled in convoy with the two stolen quad bikes towards Aberdeen. PC Rebekah McBride said: “We are urging anyone who saw anything unusual or suspicious in the area around the time in question to contact police as soon as possible.